Well I'm going to say it looks like fall is a little confused this year up here on the mountain. We have been going from 70+ degree days to low 50 degree days within a matter of twenty four hours, haha. I feel like last fall it was far more gradual of a temperature dip and little to no jumping back up, but I guess it does make for some more excitement and crazy looking days like the one above. That image was taken at almost 1 in the afternoon, making our apple picking adventure very spooky. My first reaction was totally that we somehow ended up in Silent Hill, haha. It does make me want to get a hot cup of tea and put on a scary movie or maybe just watching every episode of Are You Afraid Of The Dark! 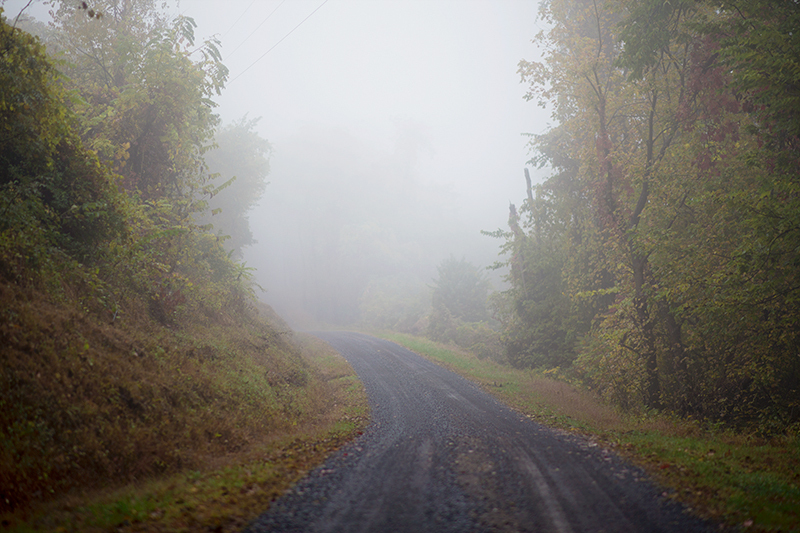 What are some of your favorite ways to spend a spooky looking day? The weather here lately has been really horror-movie-esque, as well! I feel like this fog is never going to lift... but it IS making for some pretty photos! We have been having the same type of weather. Just when I think fall is here to stay, the temperature will pop back up into the 80s! And then back down again. I love this spooky picture, It must have been so picturesque picking apples in the fog. Those wacky temperature drops make for such pretty pea soup days. Gotta love it! Ooooh, good call on Are You Afraid of the Dark! Our temps just shot back up from comfortably cool to sticky and humid :/ We need more spooky days!